Sainsbury’s is trialling a new digital pricing display system that uses e-Ink technology rather than traditional paper to produce self-updating pricing tickets. 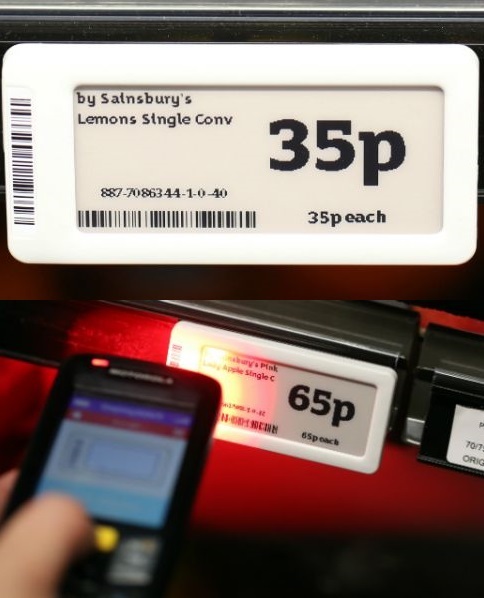 The new e-Ink digital price tags are being tested at a Sainsbury’s London store in Shoreditch and enable the prices to be updated for products even quicker by staff, as well as reducing the amount of paper waste. The e-ink units will be overseen by specially trained staff and will be regularly updated automatically from a central system. Each device's data will be encrypted and the units are fortified against the low temperatures typically discharged by fridges and freezers.